HubSpot is the world's leading marketing and sales automation platform. There's the two second elevator pitch for you. But what HubSpot has meant to our creative agency is a whole lot more than that. 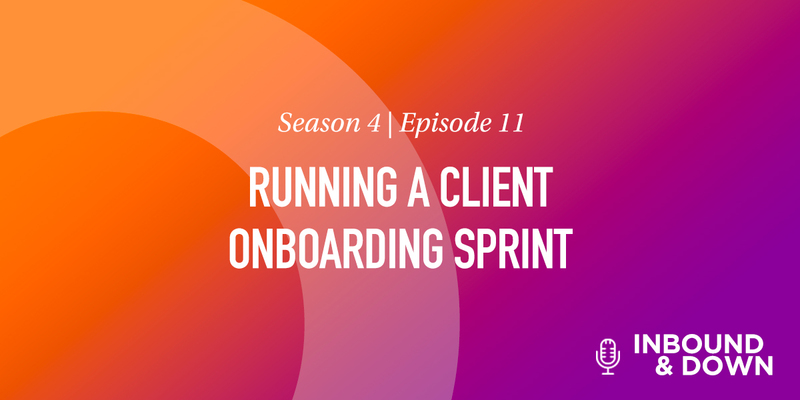 As a business owner, it's strange to talk about another company before our own but we are so entrenched in the HubSpot ecosystem that it's no longer possible to speak to one without mentioning the other. 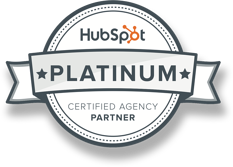 This month we reached "Platinum" status as a HubSpot Partner Agency. In the world of Inbound Marketing this is actually quite an accomplishment. (Humblebrag alert.) There are only four agencies in New York who have hit this tier and fewer than seventy in the United States. The designation means the world to us because it's measured not only by the number of clients we manage on their platform but the level of engagement and activity as well. It took exactly three years for us to reach this milestone and during this time I can truly say that everything changed for our shop. Beyond the technical brilliance underlying the platform itself is an empowering philosophy that is impossible to ignore. There are a lot of tech companies that espouse the virtues of positive culture and empathy. Then there's HubSpot. Founders Dharmesh Shah and Brian Halligan not only set out to create the most innovative marketing platform in the world, they did so while committing themselves publicly to a core set of values in a culture code rooted in empathy. This deck has been viewed more than 3 million times and it truly acts as a guiding light for their employees and partners. We found this deck so inspirational that we recently followed in their footsteps and established a culture code of our own that was authored by our employees. These are wonderful attributes to be admired for sure. But for us, it's how they treat their partner agencies that is truly astounding. Agency partners aren't just relied upon as a revenue source. Our opinions are valued and validated. We are encouraged to speak out and speak up when we're unhappy and our feedback is genuinely respected. 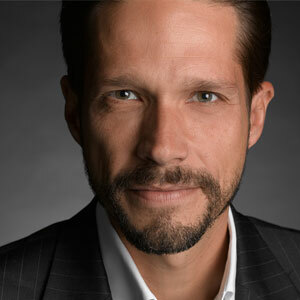 Our Creative Director Jon Sasala is fond of telling the Morey team that, "the future is awesome." He repeats this phrase with confidence because it seems like every time we say, "wouldn't it be awesome if..." that HubSpot rolls out a new feature that answers our prayers. So what exactly does our relationship look like? 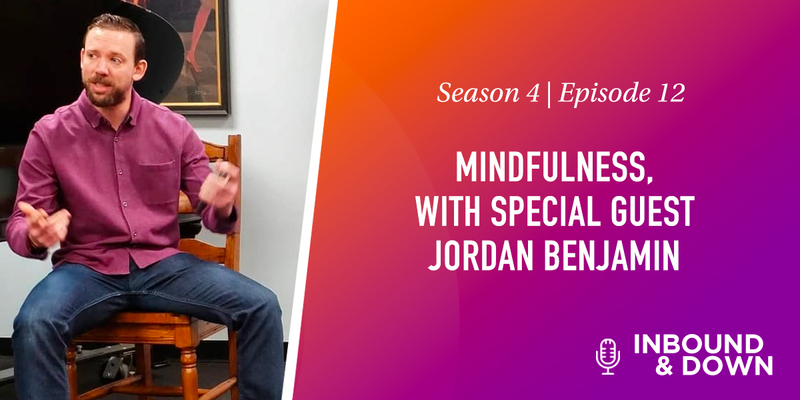 For this, allow me to share an anecdote from our initial call with our HubSpot representative, Jordan. I can still remember the long pause on the other end of the phone. Over the next several calls we battered Jordan around pretty good but he was unflappable. He never broke. Our issue wasn't with the platform - it sounded like a pretty good idea - but with the fact that we had to sell their services before our own. Then we had to trust that someday they wouldn't turn around and steal our own clients from under our noses. Like I said, we're natural skeptics. Or as Jordan put it, "No one has ever really spoken to me like this or asked these questions before." Agency partners aren't just relied upon as a revenue source. Our opinions are valued and validated. We are encouraged to speak out and speak up when we're unhappy and our feedback is genuinely respected. Three years later and it's difficult to imagine where we would be without them. So beyond being such a wonderful company, what exactly did HubSpot allow us to do? Glad you asked. 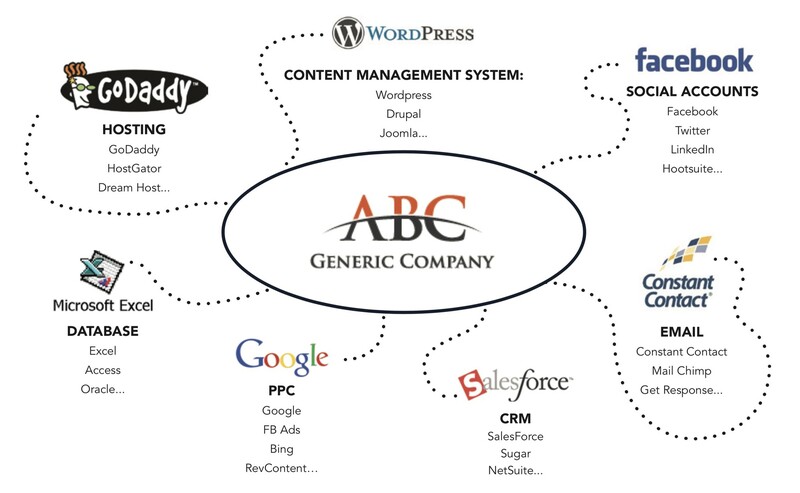 Prior to becoming a partner agency, we were already a strong web design agency and content marketing shop. We built good-looking sites with robust content and knew how to create effective campaigns. The problem was reporting and scale. We had to be proficient in so many different environments that it was difficult to stay current with updates, new strategies and technology in general. As we grew we were becoming too tactical and had little time, if any, to think and act strategically. Look familiar? Most companies still operate this way. Ten years ago, Brian and Dharmesh recognized this exact challenge and dared to dream about a platform that would consolidate every aspect of the sales and marketing workflows into one environment. 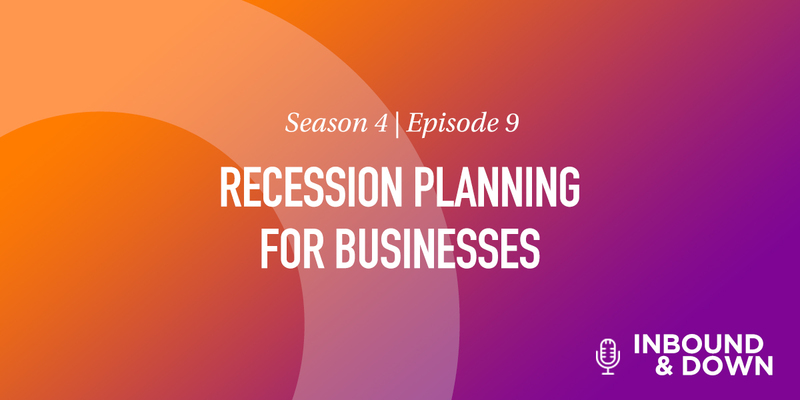 Of course, it didn't start out this way but the long-term plan was there and they assiduously set out to build toward a vision that is today's reality. One last note about the partner agency community as a whole. 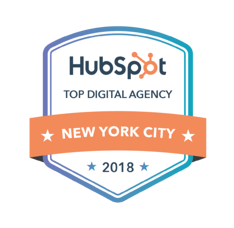 While I've gotten over my initial skepticism about HubSpot's philosophy and desire to genuinely help its partner agencies and individual clients, there's something about the partner ecosystem that still amazes me. We frequently reach out to other agencies for guidance and insight. We are active in the partner community forums, attend the Inbound Conference every year and talk to other partners on Slack, Facebook groups and on conference calls. As a Mets/Jets fan I can only imagine that this is what it feels like to be part of a winning team. So as much as the jaded New Yorker in me will always be prepared for the other shoe to drop, there's a much larger piece of me that is eternally grateful that Dharmesh and Brian started this journey ten years ago and invited us all along for the ride. 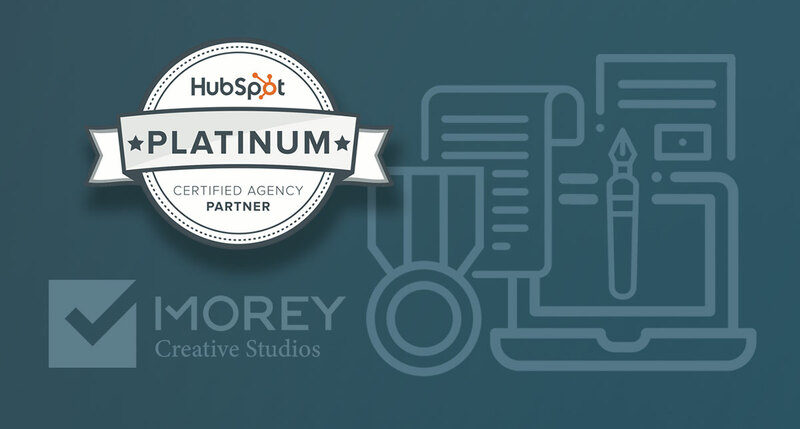 Many thanks to the Morey Creative team for working so diligently to reach this tier, the employees and leadership of HubSpot for building something special and the partner community for welcoming us with open arms. The future really is awesome.